You will agree with me that most of the cheap wheelbarrows in the market are knockoffs. For that reason, we sampled the best wheelbarrow under $100 for home use in this review. If you are a gardener, DIY enthusiast or homeowner with light carrying needs, a wheelbarrow will make work easier and faster. Nothing can be stressful like holding stuff in your arms with others falling all over the place. However, the biggest problem is that many homeowners believe that a good wheelbarrow must be expensive. This is not always the case because some cheap brands deliver the best service for a long time, just like the top wheelbarrow brands; the likes of AMES, Best Choice Products, Seymour and Marathon. 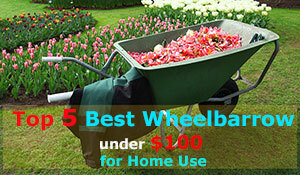 So, without further ado, let’s review the best wheelbarrows for home use under $100. Our little ones like to help us with the work. However, an adult wheelbarrow is a hazard to small kids. To cultivate the virtues of hard work, get them the Temper Kids Lil’ Wheelbarrow. It is designed for small kids, from three years to around ten years. The barrow has been made from the high-grade plastic material while the handles are wooden. Fortunately, they are sealed so you won’t have to worry about splinters or bruises. If you have kids, this is an awesome product though I find it quite expensive. The size and rather poor build quality don’t warrant such a high price tag – there are adult wheelbarrows you can get on that budget! But considering its lightweight design and most importantly, safety, it does the job as a kids’ wheelbarrow! Garden Barrow makes it in this list of the best wheelbarrows as the best buy for gardening. It has a cheap price tag of $50 only. But then, it is not as large as the others. The Poly tray has a 4 Cu. Ft. capacity and sits on a strong steel framer. But what makes it special for gardening? You understand the problem of the muddy garden terrain. Garden Burro has thick wheels that won’t slide or make pushing a problem. 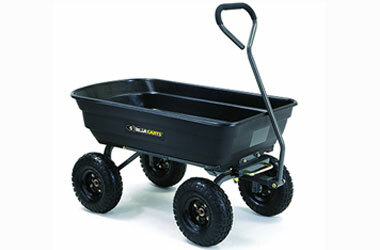 If you are looking for the best wheelbarrow for mulch under $100, Garden Star 70019 Garden Barrow is your best match! My only problem is the metal handle. During cold mornings, pushing can be a little bit uncomfortable. I would have wished for a padded handle. This is by far the best best wheelbarrow for home use that I have used. It has huge tires that make pushing it on all terrains a buzz. For the senior citizens, it can be a great purchase because of the ease of push. The wheels are large, so when lifted, it takes a simple force and you are gone. It has a 5 Cu. Ft. capacity, enough for most of the residential needs, gardening, landscaping and so on. But I didn’t like the build quality; it looks tired when loaded and though rated 265 lbs. I don’t think it will last longer if you overload it daily. If your loads are in the 200 lbs range and below, it is a wheelbarrow you can consider. The price is also amazing considering Best Choice Products is a top brand. If you have heavy loads and you want more stability, then you need a lawn cart. Gorilla Carts GOR4PS is one of the best garden carts in the market. It comes with a sturdy steel frame, solid screwing, and four wheels. If you have light construction tasks that require carrying sand, soil, bricks and other dense stuff, this is what you need. The others may accommodate the weight but will take a toll on the frame in no time. The icing on the cake is the $70 price tag; I didn’t expect anything less than $100 for this lawn cart. But then, I wouldn’t recommend Gorilla Carts GOR4PS for hilly landscapes. While going uphill may be easy because you are pulling up, going downhill can be quite a challenge especially when loaded. If you fell in love with Best Choice Products SKY2705, but you want something stronger, the Yard Rover by Marathon is a worthy alternative. It has the same large 13-inch wheels and 5 Cu Ft barrow like Best Choice Products but with a sturdier frame. It can comfortably hand 300 lbs. so you don’t have to mind about doing big jobs. The problem is that Marathon is a lesser known brand compared to Best Choice Products. Having sampled some of the best wheelbarrows under $100, it’s time we learn a few things about buying wheelbarrows. It is a clever thing to learn how to identify a good wheelbarrow yourself. You never know, maybe tomorrow the above wheelbarrows won’t be the best. So, in this review, we will be a looking at several aspects of wheelbarrows that you should bring into the picture. An excellent place to kick off is to try perhaps to understand what is a wheelbarrow, and its major parts. A wheelbarrow is merely a barrow on wheels. This is considering the word burrow is derived from an old English word, “bearwe” which was a tool for carrying loads. I think the word now makes sense. However, the best way to understand a wheelbarrow is to examine its anatomy to see what different parts make up a wheelbarrow and what their function is. This is the most significant part of a wheelbarrow and is where the load is placed. When buying wheelbarrows, there are two essential things you need to consider when assessing the barrow; size and material. Wheelbarrow treys come in different shapes and capacities. You will find small kids’ wheelbarrows from 2 Cu. Ft. to large industrial sized wheelbarrows. But for home use, they range from 2 Cu. Ft. to 8 Cu. Ft.
One thing you need to understand here is that the higher the barrow capacity, the larger and heavier the wheelbarrow gets. Make sure to assess your daily needs and buy a barrow that will be enough to carry your stuff. However, in as much a bigger is always better, it is not a smart idea to spend more on a wheelbarrow you won’t manage pushing when full. After you have chosen your preferred barrow size, you now want to settle on the right material. Wheelbarrows are available in a range of trey materials. You will find plastic treys, steel, and even wooden ones. Each of these materials has advantages and disadvantages so when buying. This information should be on your fingertips. Steel treys – The conventional construction and heavy-duty wheelbarrows come with steel treys. This material is durable and will withstand most of the harsh work conditions. I say most because rusting is a major problem with steel treys. But all the same, they are more durable and are real value for money. The only problem is that a steel wheelbarrow will be too much for the regular jobs around your compound, garden, or backyard. They are also more expensive, so it will be unnecessary to spend more on a heavy duty wheelbarrow that you are using for light duty tasks. 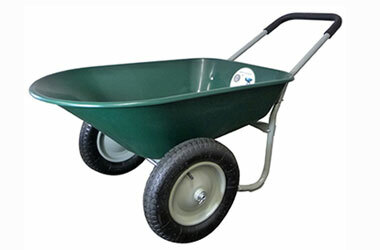 Plastic treys – This is the most popular type of wheelbarrow in the residential wheelbarrows category. Plastic is ideal because it is light and will take quite some abuse. But what kind of plastic is this yet we know that traditional plastic is very light? Here, a high-grade plastic material called polyethylene is used. It is stronger, durable and easy to mold that’s why you get a hard tray that will carry heavy loads without cracking. Poly treys are a bit more affordable but then, they may not last for as long as steel barrows. The good thing is that Poly doesn’t rust or get corroded like steel. Wood treys – It is not easy to find wooden wheelbarrows in the market, but DIY woodworkers can build them. They are best for planting, and most homeowners love them because of affordability. But then, they require more maintenance especially from. When exposed to too much moisture, the wheelbarrow becomes heavier, and the water may damage the barrow. The good thing is that you are not worried about rust and breaking. This is the other important part after the barrow. The wheel consists of a tire, and axle bracket. When shopping, the axle may not be a critical consideration, but the tires are. The major debate on wheelbarrows has been on single wheel tires vs. dual wheel tires. Remember, there are also other wheelbarrows like Gorilla Carts GOR4PS that have four wheels. The type of tires used is also a consideration so you must know about all these and put everything into account. There has been an unending debate on the best wheel system between a one-wheel design and a dual wheel design. Here, the argument can be refined merely into a battle between maneuverability and stability. The advantage of a one-wheeled design is that it makes the wheelbarrow more maneuverable. You can pass through tight corners and make sharp turns. It also requires a small path which makes it best for gardening and mulching. On the other hand, dual wheeled systems have the advantage of stability. Two wheels give the wheelbarrow more stable ground support, and in fact, the weight is shared so there is less pressure on the ground and consequently, minimal disturbance. But in as much as you want stability, two-wheeled wheelbarrows will require more energy to push, especially on inclines grounds. There is also three-wheel, and four-wheeled wheelbarrows and these are much sturdier and will fit some heavy jobs that require heavy carrying. You’d only want to buy a four-wheel cart because it can carry more load otherwise regarding maneuvering or push ease, it is poor. Another consideration as far as wheels are concerned is the type of tire used. The main classification of wheelbarrow tires is based on whether they are pneumatic or not. So, what do you need to know about pneumatic vs. non-pneumatic tires? Pneumatic tires come with a tube inside and work in the same fashion as bike tires. The advantage of pneumatic tires is that they can absorb impact better so pushing the wheelbarrow in hard terrain is a smooth experience. But on the downside, pneumatic tires are prone to punctures and require pressure monitoring. Ordinarily, a wheelbarrow tire should be inflated to 25 PSI. The other type is semi-pneumatic tires which have air-filled sacs and not tubes. The advantage of these tires is that they are maintenance free and rarely get punctured. However, you don’t get the same impact resistance like in pneumatic tires. Another thing, in the event they get pierced, you might need to buy new ones. Lastly, we have non-pneumatic tires which are tires with dense materials filed inside. This means they don’t require air to function and hence the name. The advantage with such tires is that they require little or no maintenance at all and will fairly last longer. Unfortunately, they are poor in impact resistance, and if you have bare handles, the vibrations might be very uncomfortable. This is the extended part connected to the frame of the wheelbarrow that users push or pull. So, what exactly do you need to know about the wheelbarrow handle? You want to see the difference between a push and a pull handle as well as the pros and cons of each. Also, the material of the handle and features might be of interest. We have wood and steel handles. Wood is very cold in the mornings but overall stronger. Wood is comfortable but may result in splinters. There are two types of handles; one that requires pushing and another that requires pulling. Typically, wheelbarrows will come with push handle. In this setting, the user is behind the barrow pushing the handles. On the other hand, garden carts have pull handles where the user is in front, pulling the handle. We will look into this when handling the debate on wheelbarrows vs. garden carts. The material of the handle also matters, and we have two types; steel and wooden handles. Most of the wheelbarrows in the market have steel handles. Galvanized steel is preferred because it is more durable than wood. On the other hand, wood is durable and maintains its temperature. You understand how pushing a steel wheelbarrow on a cold morning feels like. They may also cause splinters on your hands. However, thanks to ergonomic handles and padding, as well as with the use of gloves, steel handles are manageable. 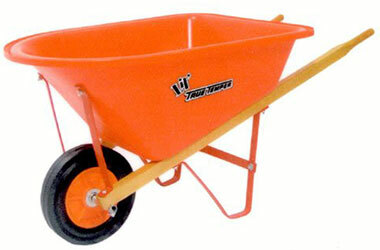 An excellent example of a steel wheelbarrow with wooden handles is Ames True Temper 4066 or Seymour WB-JRB for children. These are vital parts that help the wheelbarrow’s wheel for stability. Braces and limbs are generally made from steel, and they must be jointed firmly. You will find jointed braces on one-piece designs together with the handle. Something to note here is that only one-wheeled and a few two-wheeled wheelbarrows come with legs and braces. The extra tires cover up for the support required. Amongst the five wheelbarrows we have reviewed, I know you must be wondering where the four-wheeled cart comes in. Wheeled carts remain under the category of wheelbarrows as they have the barrow and wheels. Most importantly, they are all used to do the same job. However, one might be more resourceful to you than the other. So, what are the pros and cons of each type of wheelbarrow as well as best uses? It is important to note the difference between this two equipment. The first difference is the shape of the barrow and perhaps the number of wheels. A wheelbarrow has sloping sides, typically with a thicker front side. On the other hand, a garden cart has a flat barrow. When it comes to wheels, wheelbarrows have one or two wheels whereas garden carts may have three or four wheels. One last difference is regarding their load capacity. Typically, garden carts are designed to carry more weight than wheelbarrows. When it comes to pros and cons, the battle is between maneuverability and stability. Wheelbarrows, especially one-wheeled models are easy to maneuver especially on small paths. The problem is that they are not stable enough and require a lot of effort to carry heavy loads. But at least two-wheeled models have made things easier, but still, the stability of garden carts is incomparable. Lawn carts come with three, four or even more tires. This means more stability, but on the downside, it increases the weight of the cart and size tool. 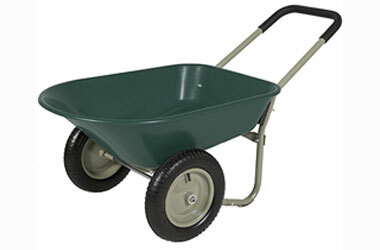 But if you are keen on a simple wheelbarrow that has a large carry capacity, a garden cart will be the best. As the name suggests, these are wheelbarrows that don’t require pushing, only your control is required. Some of the big motorized wheelbarrows to buy include Greenworks GC40L00 if you are on a budget and Makita XUC01PTX1 if you’re on a budget. The advantage is, of course, the fact that you can carry heavier loads. But on the downside, they are quite expensive and will require intensive maintenance. But how exactly will a wheelbarrow or garden cart be of importance to you? We look at some of the major applications of wheelbarrows around your home. Gardening – There is a range of gardening needs that will require a wheelbarrow or garden cart. In fact, if you are any homeowner, a wheelbarrow is the best everyday companion. You will need it to carry your tools to the job site. Landscaping – A wheelbarrow will also come in handy for landscapers. 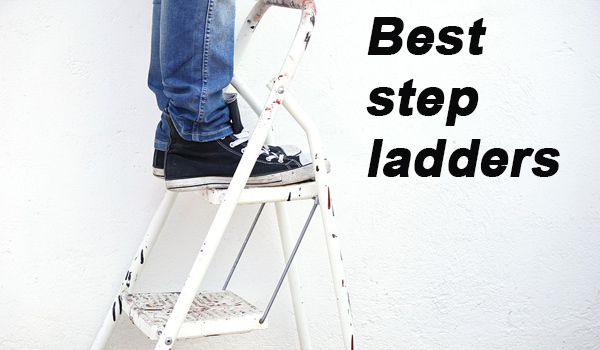 The first advantage is that it will help you haul your landscaping tools. Second, a wheelbarrow or garden cart will help a great deal in carrying soil among other landscaping resources. But make sure you get the right wheelbarrow for the job. Construction – Though you may need a heavy-duty wheelbarrow for construction, light concrete works will require a wheelbarrow to move the materials. Steel wheelbarrows are tough enough for the job, but washing concrete becomes a problem and the exposure to rough brushing and water is a recipe for rust. Apart from these basic uses, there are a lot of many other things you could do with your wheelbarrow or garden cart. So, if you don’t have any ongoing projects, here are some other unusual uses of a wheelbarrow. 1. Planter – You can turn an old wooden wheelbarrow into a planter. The advantage of such plants of flowers is that they can be moved easily. In fact, I’ve seen several florists design these wheelbarrows specifically to be used as flower pots. 2. Dog bath – If you have pets, a wheelbarrow can be a nice set up to pamper your dog with a warm bath. Most barrows will accommodate small to large pets and enough water to wash them. 3. Kids ride – Small kids will love to sit in the wheelbarrow and be pushed. I always find my son waiting at the yard for a ride when I am working. 4. Mexican recliners – Are you taking a break and you don’t have somewhere to stretch your back? A one-wheeled steel wheelbarrow can be a nice chair when the wheelbarrow’s wheel is up and you are seated inside the barrow like illustrated below. 5. Portable feeder – You can put your horses or cow’s feed in the barrow and take it to wherever it is easily. I know we have talked a lot of stuff and maybe you still have no clue what wheelbarrow suits you. In this segment, we want to go through the factors to consider when buying wheelbarrows quickly. When scouting for a wheelbarrow or garden cart to buy, make sure you answer the questions below satisfactorily. Once you do that, you are sure of getting value for your money! What brand are you buying? In the market, you will find many brands. But I always advise my readers to always go for the top brands for obvious reasons. Even though they may be expensive, they are good value for money because of their performance and durability. 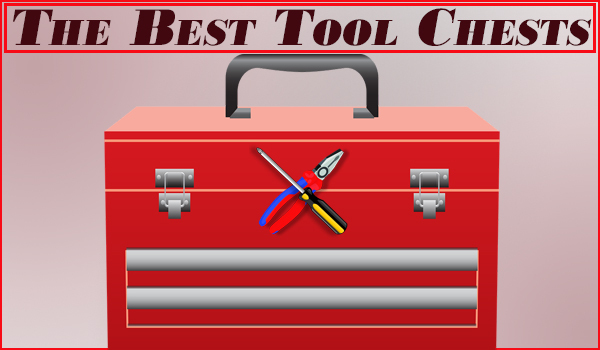 Here, some of the household names include WORX, Marathon, BCP, Seymour, e.t.c. 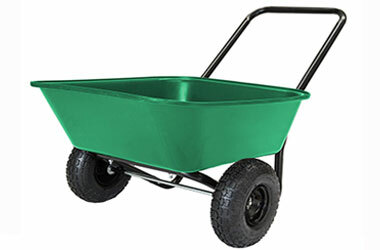 Wheelbarrows retail from as little as $30 all the way to $1000 and even higher. To make sure that you don’t strain your wallet too much, set your budget and get what is within your means. However, that is not to say you shouldn’t add a few bucks to get that wheelbarrow or cart that you’ve always envied. Above all, always be guided by the mantra of, you get what you pay for, and cheap is always expensive. This is by far the most important factor when deciding on a wheelbarrow. They say necessity is the mother of invention. In our case, the invention is buying. There’s always the reasons why you want to buy a wheelbarrow. In the same token, there are wheelbarrows designed for specific needs. I’m sure with the deep description of the features, and their functions will guide you in choosing the right wheelbarrow. How easy is the assembly? If you are not a handy guy like me, you need to be concerned about the installation. Wheelbarrows and garden carts come in parts and need to be assembled. If you don’t want something hard to assemble, always check for the number of bolts – the more the bolts, the complicated it is. How long will it serve you? 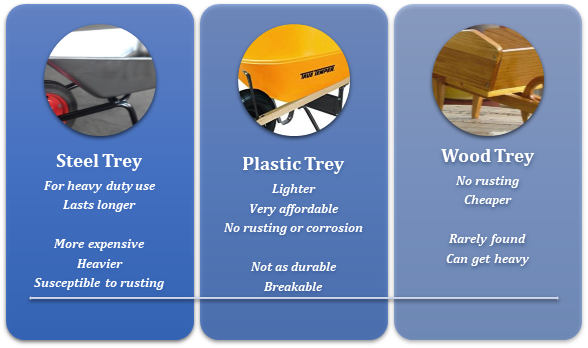 A common question from wheelbarrow customers is regarding durability. You will agree with me that the build quality matters when it comes to durability. However, maintenance is the fundamental factor. Maintenance explains why one wheelbarrow will last longer than the other yet they are the same model and used fairly the same. Like earlier mentioned, the durability of a wheelbarrow largely depends on the maintenance and usage. That said, what are some of the wheelbarrow maintenance tips that will help keep your wheelbarrow in top condition? 1. 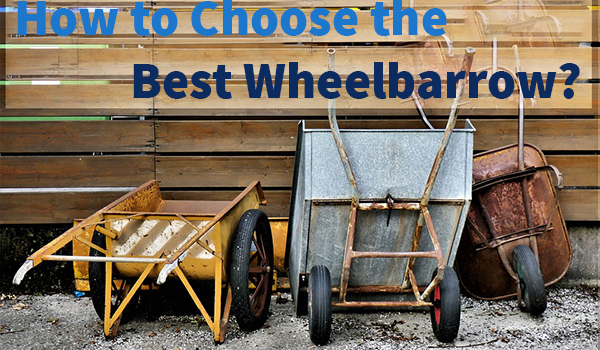 Choose the right wheelbarrow size – The first thing you should make sure is to pick the right wheelbarrow size. A small size and a heavy job will overwhelm your wheelbarrow and make it more susceptible to breaking. 2. Lubricate the moving parts – The entire wheel system, axle, including the bearings need to be lubricated to ensure smooth movement. 3. Clean the barrow after every use – You don’t want concrete and other stains on your barrow so make sure to clean it after every use. 4. Store it nicely – Many homeowners take their wheelbarrows for granted and will leave them out in the hard weather. Remember, UV rays damage Poly barrows whereas water causes rusting on steel barrows. So, make sure you keep it away from these hard conditions. 5. Fix broken parts immediately – Once you note a defective part on the wheelbarrow, fix it immediately. You will worsen the problem if you continue using it with a defect. In as much as wheelbarrows help us to make work easier, they can be very dangerous. Here are some very helpful wheelbarrow safety tips to keep out of harm’s way. 2. Maintain a good posture when pushing the wheelbarrow lest you get a back injury. When lifting the handles, make sure your back is straight and you use your legs to lift, not the back. 3. Keep your wheelbarrow away from children. Kids may be tempted to take the wheelbarrow for a ride and end up injuring themselves. 4. If you have a pneumatic tire, inflated it to the recommended PSI only as anything higher than the recommended is a grave tire burst risk than cause aggravated injuries. 5. Carry what you can manage only and avoid large abnormal loads at it can cause proper imbalance. 6. Remove any defective wheelbarrow from service. You don’t want someone else to use it when it has a broken part. 7. Make sure you are in proper PPE for wheelbarrow-ing. PPE gear for wheelbarrows include a hardtop hat, gloves, cover-all clothing, goggles and most importantly, safety boots. There you have it, a complete review of the top 5 best wheelbarrows in the market, alongside a comprehensive buying guide. We hope that you are now in a good position to make the best purchase as far as wheelbarrow and garden carts shopping is concerned.